Before my daughter Sofía was born, I didn’t know who Tinker Bell was. Sad, but true! Now, life, some three years late and I feel like I am a Tinker Bell experta! 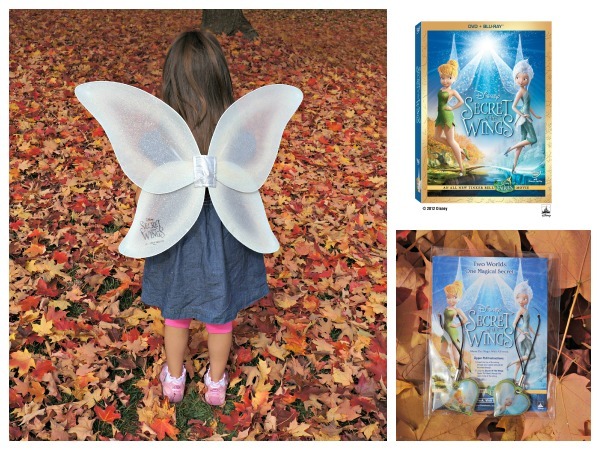 So when I was asked to write a review of the newest Tinker Bell Disney Fairies Films, “The Secret of the Wings” or en Español, “El Secreto de las Hadas”, recently released in Blu-ray™ Combo Pack, DVD and Digital on Tuesday, October 23, 2012, I jumped at the opportunity! I love that Disney is now automatically releasing their DVDs with Spanish language sound tracks because in my casa, we only watch movies en Español! I will admit though that for this movie, I did sneak off while Sofía was napping so that I could watch in English also. I wanted to be able to compare the voices in English and Español and I concluded that they were matched very well! Although the DVD I was sent refers to Tinker Bell as Tinker Bell (say it like Antonio Banderas), we usually call her Campanita and in España they call her Campanilla! The Tinker Bell Disney Fairies Films are some of my favoritos of Disney. The story lines usually have a moral, are appropriate from young toddlers to older children as well as entertaining for adults. There normally isn’t any violence (not even mild violence), underlying innuendos, or any unwanted behavior that I wouldn’t want my toddler to pick up. I feel comfortable letting Sofía and her friends watch the movies without worry. The “Secret of the Wings” was no exception and it even offered more! I really liked the element of Science that Disney wove into the story line. It is no secret that we need to get more girls engaged in The Sciences and I think Disney has done this well in the movie. They illustrate concepts of nature that have to do with the transition of autumn to winter; how animals change their coats, hibernation, and plant life-cycles. Without giving anything away, the entire film teaches the viewer about the Science behind frost and ice. To say the least, I’m impressed with Disney. Of course none of the additional Science bonuses takes away from the main storyline either –a storyline in which I think the Disney Fairies creators have outdone themselves. In “The Secret of the Wings”, Tinker Bell and the other warm weather fairies become intrigued with the mysterious Winter Woods. Tinker Bells’ sense of adventure and persistence lead her on a magical escapade where she makes discoveries that change the lives of the Pixy Hallow’s residents forever. Although “The Secret of the Wings” and the other Tinker Bell Disney Fairies Films are targeted at pint-sized females, I really think that young boys will not be turned off by the film either. There is enough non-gender fun in the movie (adventure, a new invention, and heroes) to engage any kind of audience. But don’t take my word only on how excelente “The Secret of the Wings” is…..enter our Giveaway to win your own copy of the Blu-ray™ Combo Pack, DVD and Digital! All you have to do is leave a comment here and tell us how you plan to watch “The Secret of the Wings” if you win! ONE lucky winner will receive “The Secret of the Wings” Blu-ray™ Combo Pack, DVD and Digital, a pair of Tinker Bell Charm Zipper Pulls, and a pair of Tinker Bell wings! FOUR lucky winners will receive a pair of Tinker Bell Charm Zipper Pulls, and a pair of Tinker Bell wings! In the meantime, here is a sneak peak at “The Secret of the Wings” trailer in Spanish! ¡Buena Suerte! And don’t forget to tell us how you plan to watch “The Secret of the Wings” if you win! My girls would love this. We would watch it while eating some yummy popcorn. Although she may not admit it, my 15 year old will be more excited to watch this than my 5 year old. So we’ll watch it all together but she will like it best. subscribed!! Can’t wait to see if we win. We love your site and can’t wait to use all of your info and resources!! i’d watch it with my niece! Oh yeah, my girl loves fairies (and her little brother does too) . And I’ll let them watch it as many times as they want if they change it to Spanish. I can’t wait for her to watch it in Spanish, she loves Tinkerbell. Maria would love the movie. Probablemente la veriamos en ingles y en espanol!! Watch with my neice. She loves Tinkerbell. I would watch it with my 2 girls!! I would watch it with my wings on! I would watch chris with my sister! Does it get much better than this? And in Spanish! with my little sister shes 8! Ai, Tinkerbell, at our home we would probably watch this with both my son (almost 4yrs old, ALWAYS loves to watch a movie) and my daughter (2,5 yrs old) who – I am sure – will be wearing her fairy wings and outfit, and her magical wand, and, why not, her princess crown and slippers, necklaces, bracelets and rings. Just to be sure. Good thing she also likes to dress up as handy (wo)man or fire (wo)man. I plan to watch it at home with my kids and a big bowl of popcorn! I would watch it with my six year old daughter who absolutely loves Tinkerbell!!! This looks great for my 3 year old. 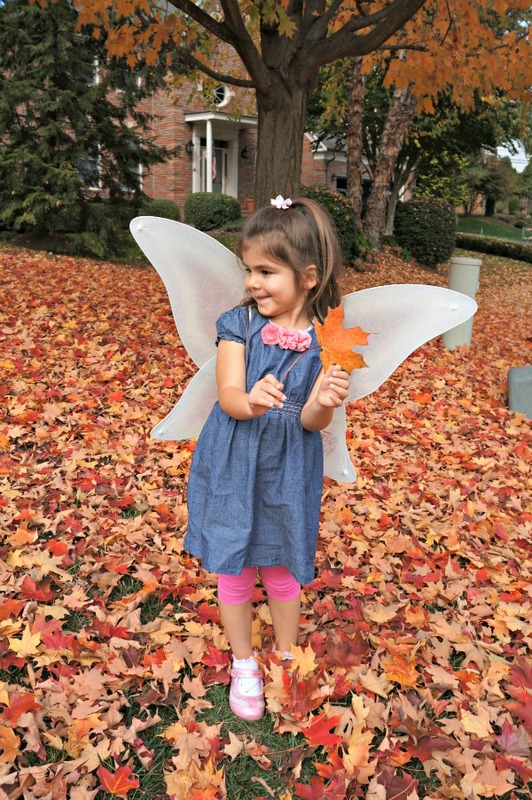 she loves fairies and butterflies. Thanks for finding a Spanish language trailer too! I will share this not only with my granddaughters…but with my Pre-k, K, and 1st and 2nd grade Spanish classes. I would watch this with my daughter – we’d probably have a pajama party! I would watch this with my kids – they would love it! I would watch with my niece! It’s so great to have some familiar films in English to share with our bilingual kids! I’ll watch with my sister and my nieces for a girls day! We will have a family night with lots of snacks and watch this! My kids are dying to watch this movie! They can’t wait to see it! I would watch with my 3 kids. We would be eating popcorn too. we will watch this after a marathon of the first 3 dvds! With my two daughters, snuggled up on the couch. Would love to watch this film with my daughter and her friends that share her fairy-fanaticism! I plan to watch this with my granddaughter! SO HAPPY TINK IS NO LONGER ALONE! I will watch it with my husband! In this great pattern of things you actually get an A+ with regard to effort. Where you actually confused us was first on the specifics. You know, as the maxim goes, details make or break the argument.. And that could not be much more correct here. Having said that, permit me inform you what did give good results. The text can be highly convincing which is possibly the reason why I am taking an effort in order to comment. I do not really make it a regular habit of doing that. Next, while I can certainly see a leaps in reason you come up with, I am not sure of just how you seem to unite your details that produce your final result. For the moment I shall subscribe to your issue but trust in the future you actually connect the dots much better.